Posted on December 9, 2014 by Commuter Connection Program	in Blog, Wood Smoke and tagged Fireplace, holiday, winter, wood burning, Wood Smoke. The holiday season is here and we know what that means: lots of festive lights, cookies, snow and family. This is also the season that fireplaces and stoves across the country will be used for heat and for ambiance. More than 27 million homes in the U.S. have a fireplace and nearly 9.3 million have wood-burning stoves. 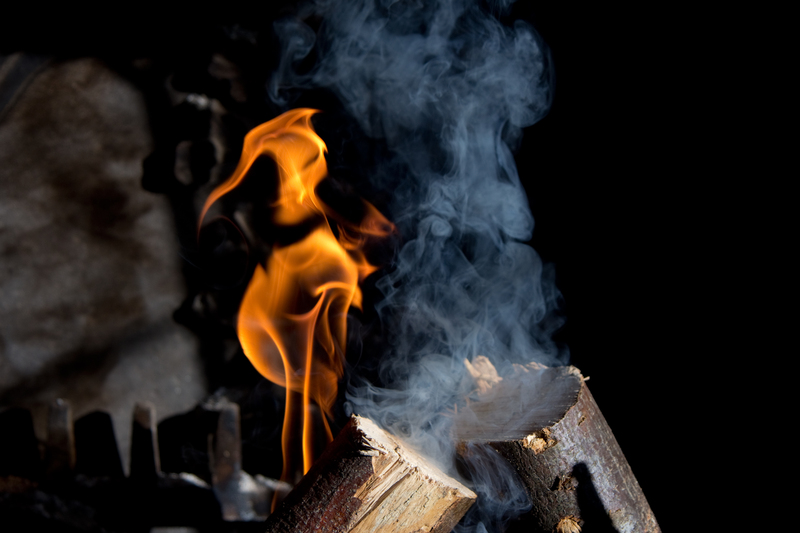 As enjoyable as a glowing fire may seem, burning wood releases harmful air toxics directly into your home. There is a warm feeling associated with a family sitting around the hearth in the cold winter months. While these wood fireplaces may be cozy, they are not healthy. Wood smoke contains dozens of nasty pollutants such as carbon monoxide, nitrogen oxide, hazardous metals, and known carcinogens such as formaldehyde, dioxin, benzene, and toluene. These are many of the same dangerous chemicals found in cigarette smoke. In fact, the Environmental Protection Agency estimates that breathing wood smoke particles during high pollution days is equivalent to smoking 4 to 16 cigarettes. Some of our closest loved ones are the most susceptible to air pollution from fireplaces. Children and the elderly, as well as those predisposed to respiratory and cardiac disease, are more vulnerable to the medical complications of wood smoke. Potential health impacts include lung cancer, heart attacks, strokes, high blood pressure, and asthma. One of the most dangerous pollutants produced from wood smoke pollution is particulate matter. PM levels in wood-heated homes are, on average, 26% higher than homes without wood-burning heat, according to air quality officials in the State of Washington. Fine particulate matter can lodge itself into one’s eyes and respiratory system causing major health problems. Dr. Joel Schwartz of the Harvard School of Public Health has said that, “Mammalian lungs don’t have defenses against small particles. Particulate pollution is the most important contaminant in our air… we know that when particle levels go up, people die.”. For all of these reasons, it’s not good for your health to burn wood in your home. But if you do rely on using a fireplace or wood stove, there are some simple steps to take that will help make your home a little safer. If you use a chimney, get it inspected and cleaned at least once a year (more often for older units) by a professional. Never burn trash or treated wood, and make sure your wood is clean has been split and dried for at least six months. The cooler your fire, the more emissions it produces, so hard woods (like maple, ash, oak, and beech) emit less than soft woods (like pine and fir). It is also vitally important that you use a fireplace insert in your fireplace. EPA-certified models burn 70 percent more efficiently than an open fireplace. But what is better than all these tips is to not burn wood at all. The traditions of a winter fireplace are not worth the serious threat that wood smoke pollution poses. For more information and resources about making smart burning choices, you can visit the EPA Burn Wise program. If the smoke pollution is out of your control, you can take action by reporting it using our I See Smoke map application.